We’re living in times when every penny counts. Budgeting can even extend into our insurance products. With life insurance, you can’t afford to cut corners. Your priority should always be to find a product that meets your needs. Landing up with a lot of modest, unworthy benefits is just going to be a waste of money. 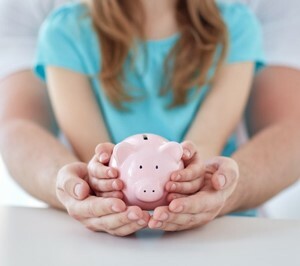 Here are some tips on how to save money on life insurance. there are many companies selling life insurance. Only look at those who are financially sound. You want to make sure that when you claim, the insurance company is capable of paying out. Are you still employed? Have you considered group insurance? Your company might offer an employer-sponsored life insurance plan. You may well have to contribute towards it, but you can save yourself quite a sum by having your work subsidise you. It can be quite a lot cheaper than buying individual life insurance. Shop around and compare – there are excellent insurance companies, and you’ll want to get quotes from some providers to see the price differences. Compare premiums. Comparison sites such as Hippo in South Africa will give you a sense of the premium you’re likely to pay, the reputability of the insurance company as well as the features they offer. There are some more affordable policies which are excellent in the benefits they offer. Also, lifestyle changes – did you know that simply by taking care of yourself, you can pay less on your premium? You are rated and grouped according to lifestyle habits. If you smoke, your premiums are far higher than for someone who doesn’t. Stop smoking and become healthier to qualify for more favourable rates. There are two kinds of life insurance – term life and whole life insurance. Life insurance fills the financial gap between the value of your assets and the assets you require for economic freedom. Whole life insurance has a much higher premium. It’s where people waste money – buying this expensive whole life insurance when in fact all they want is insurance to cover this gap. Ann Wilson, CEO of The Wealth Chef, who is also a is a self-made millionaire in South Africa says term life is going to cost you a lot less money and still serve its purpose. She says that the only kind of life insurance you want and need is term life. We all want life insurance as it gives us confidence for the future regarding financial wellbeing. To help determine how much life insurance you need, make use of an online calculator found on life insurance websites and financial services websites. These calculators take into account your unique situation. So buy what you need only. Experts also advise that you do an analysis annually so that, because of lifestyle changes, you’re not still paying for benefits you no longer need. Remember too that one advantage to buying life insurance as soon as possible, even when you’re young – is that your premiums will be lower too. Finding a cheap life insurance policy which offers the right amount of coverage for you is simple, and its worth it because it just means better rates and better savings.